May 12 is the next deadline for the U.S. to renew the sanction waivers key to the Iran nuclear deal. President Trump, who has long expressed disdain for the deal, may take the date as an opportunity to withdraw. Why it matters: Trump's objections to the deal appear to be primarily diplomatic. But beyond its negative implications for nonproliferation, withdrawal would also have a significant impact on world trade and would bolster China's fortunes as an economic superpower. The Trump administration is already engaged in a tariff war with China and is trying to reduce the advantages Chinese companies enjoy in international markets. That leaves China little reason to cooperate with renewed U.S. sanctions against Iran. While European countries used to be Iran’s main trading partner, Chinese trade with Iran now dwarfs the EU's. These patterns shifted after Western countries began imposing nuclear-related sanctions on Iran a decade ago. 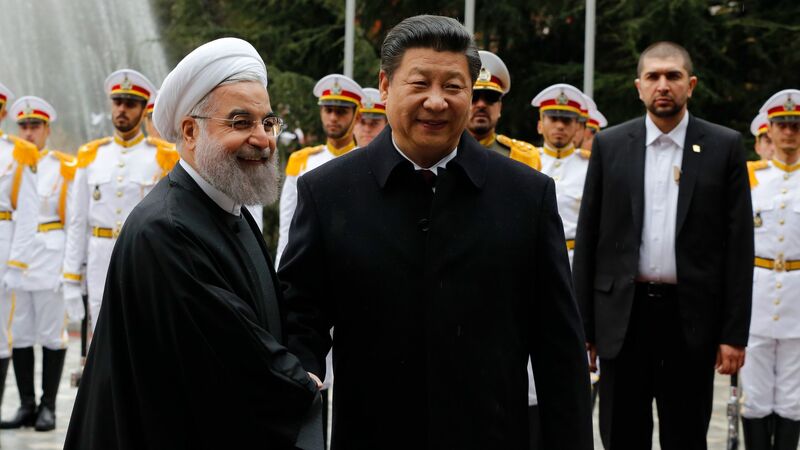 According to an International Monetary Fund official, Iran–China trade rose from about $16 billion in 2007 to nearly $27 billion last year, while Iran–EU trade fell from nearly $33 billion to $22.5 billion. Although European governments have vowed to resist the reimposition of U.S. sanctions on Iran as long as it complies with the nuclear agreement, they cannot force private companies to risk massive U.S. fines or jeopardize their much more lucrative business in the U.S. The bottom line: China already has mechanisms to trade with Iran without touching the U.S. financial system. U.S. withdrawal from the Iran deal would thus undermine the EU and leave China to reap the rewards.